I love couscous in a big way. 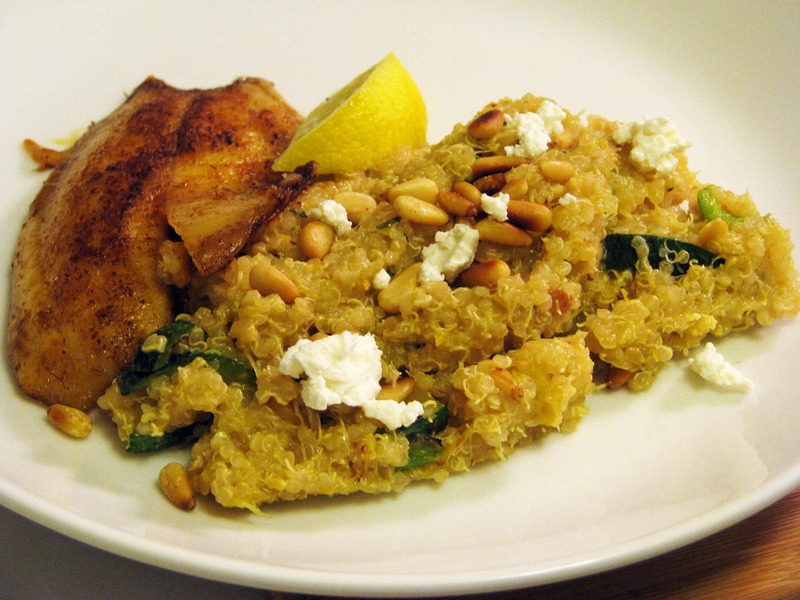 If you’re not familiar with it, regular couscous is a tiny pasta about the same size as grains of cornmeal or grits. 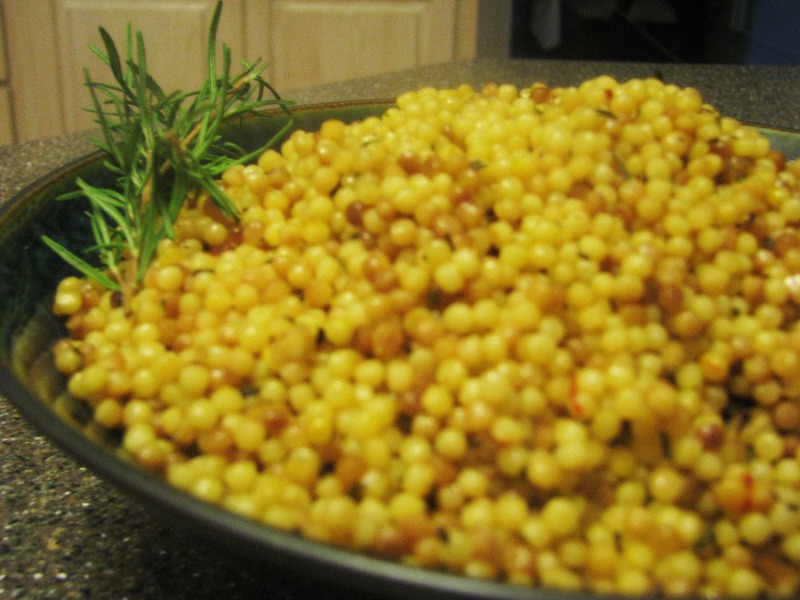 Israeli couscous, which I used in this dish, has larger grains but the same texture – kind of a cross between rice and pasta. You cook the couscous like rice, at a low boil until the water has been absorbed. It’s easy to make and is fantastic every time!